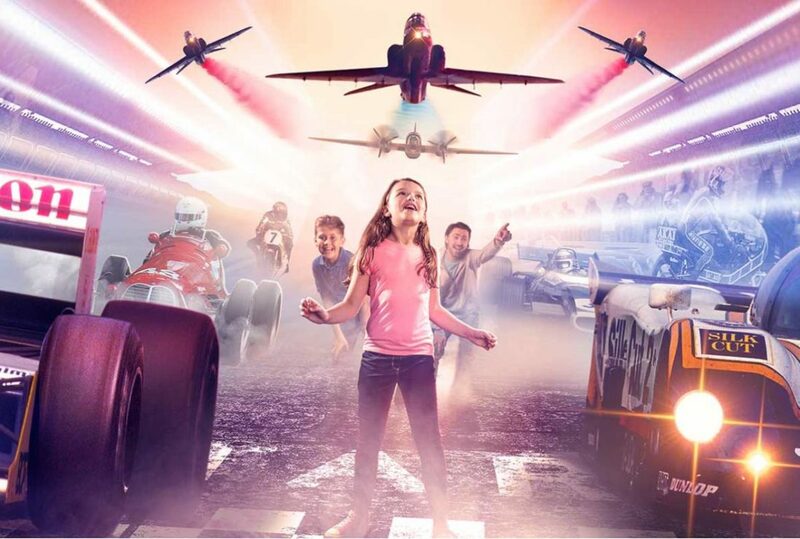 Based at Silverstone, home of British Motor Racing, The Silverstone Experience is a new technology-driven and interactive visitor attraction celebrating the past, present and future of Silverstone and British motor sport. The unique experience will be located in the circuit’s WWII Hangar which is currently being transformed into a 4,000 m² exhibition space. Ahead of their grand opening in Spring 2019, The Silverstone Experience has appointed Digital Visitor to assist with their awareness and ticket sales strategy. At Silverstone Experience we’re looking to welcome a wide and diverse audience from across the country and bring them closer to motor sport through interactive installations. With the opening just a few months away, we wanted to reach these audiences with highly engaging messaging which really brings to life the experience of the brand new attraction and the immersive, state-of-the-art visitor journey. We were looking for an agency which genuinely understood the attractions industry and could bring their strategic expertise to the campaign. We’re extremely excited to work with the team at Digital Visitor. They have unrivaled experience in attraction marketing, both from client and agency side and they have proved that they can deliver results. Focused on raising awareness of the experience among the targeted audiences and driving ticket sales, our strategy will include a blend of digital advertising delivered across multiple channels. The Silverstone Experience joins a number of other high profile attractions in the Digital Visitor roster, including Royal Museums Greenwich, Zip World and Bristol Zoo.